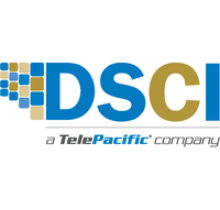 March 2, 2016 — TelePacific Communications, a leading provider of managed services and business communications solutions, announces a definitive agreement to acquire DSCI. The transaction unites two highly successful regional companies to create the nation’s premier managed services provider, possessing a unique combination of local presence and a coast-to-coast footprint. Both DSCI and TelePacific offer an evolving suite of network services, paired with a shared DNA of industry-leading personalized customer service. With this merger, DSCI’s unified communications and managed IT services will become key elements in the comprehensive portfolio of continuity, cloud and connectivity solutions TelePacific already brings to its more than 35,000 business customers. The company focuses on delivering communications solutions to medium and enterprise businesses, particularly those with multi-location needs.